Atonement is an art of balance. In litereature it is the closes thing we'll find to a magical object. It causes strories to cohere, and infuses them with drama and insight. Atonement is the lodestone of the Sagas, and the Greek Tragedies equally. 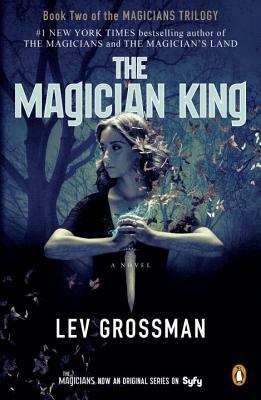 The Magician King, which follows Lev Grossman's The Magicians, employs atonement in a fresh and prodigal manner. Expelled from its pages, it is soon spotted lurking again in the margins, and hidden in the folds of every curtain. For Atonement requires rootedness and that is the very thing Quentin Coldwater, the central figure of Lev Grossman's Magicians book is motivated to avoid. The same might be said of the other central figure of the book, Julia, a peripheral character in the first book, who has achieved power outside the normal avenues of a magical college education. The narrative alternates between carrying forward from the end of The Magicians, and telling Julia's history retrospectively. The world of illicit magic, far from the safety and more conventional methodology of the magical college, Brakebills, opens up a group of compelling new characters, intimately involved in Julia's rise to power. Their heartbreaking combination of jaded worldliness, restive intellectual curiousity, and emotional naviete is what makes these books such a delight! What a pleasure it is to find characters immersed in dangerous certainty, and to be filled with uncertainty and mistakeness as a reader. The magic of these book lies in their use of inversion, a fantasy which deconstructs itself yet becomes magical, characters who spurn meaning and end up immersed in it. One would have to search across many dimensions to find a book at once so philosophically challenging, emotionally astute, and flat out fun as the Magician King. There are many different ways to get from one point to another. Quentin's path is as intricate, and engaging as anything you'll read. LEV GROSSMAN is the book critic for Time magazine and author of five novels, including the international bestseller Codex and the #1 New York Times bestselling Magicians trilogy. He lives in Brooklyn with his wife and three children.